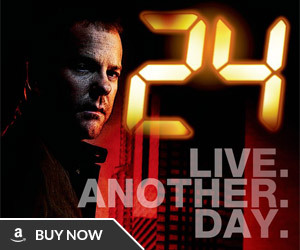 iF MAGAZINE: Were you a fan of 24 before you got on this season? 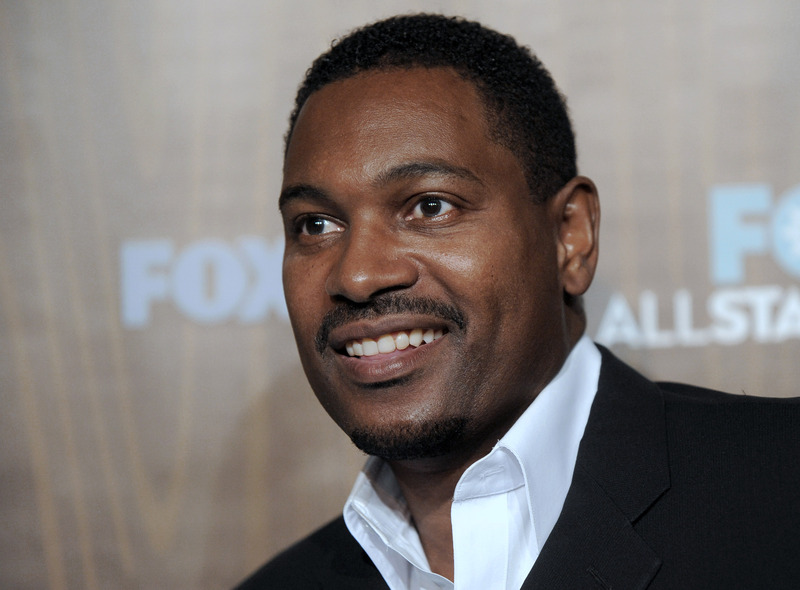 MYKELTI WILLIAMSON: Absolutely, yes. Thanks to TiVo and Blockbuster, I’ve seen every episode [laughs]. iF: So your character Brian Hastings is aware of Jack Bauer’s reputation from the start. WILLIAMSON: Absolutely. [But] my character doesn’t call him in – he’s sort of forced by circumstances to have to deal with Jack Bauer. He’s not really happy about it. iF: Season Eight takes place in New York City, though most of it is shot in Los Angeles. Did you get to go to New York for the locations? WILLIAMSON: No, I didn’t. 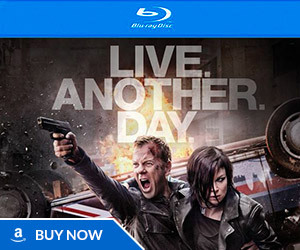 Kiefer [Sutherland, who plays Jack Bauer] did. The new CTU is located underground, accessible only by tunnels in New York City, a top-secret place. So being head of CTU, I’m primarily in and around those tunnels, underground and in the CTU. So I didn’t get to go to New York [in reality]. iF: About how many days a week have you normally been working on the show? WILLIAMSON: It varies. Sometimes I’m there four days, sometimes two. iF: Most CTU directors wind up having to say a lot of techno-babble/geopolitical jargon. Does that type of dialogue ever give you any trouble? WILLIAMSON Absolutely. Thank goodness we get another take, because sometimes my tongue will not cooperate. And it happens to everybody, to everybody on the show. iF: Do you have a particular trick for learning that sort of dialogue versus more naturalistic dialogue? WILLIAMSON: To find out what it means and how the term is used. Then I can make it organic. But sometimes we get a fresh page top of the morning, first thing when you get there, you get these new pages in your room, and they don’t look exactly like the pages you studied on last night. It’s got new words in it, technical words. That’s when my eyes cross. WILLIAMSON: Right. I started acting – my first acting job, I was nine years old when I got my Screen Actors Guild card. iF: How do you feel television has changed since you started working on it? WILLIAMSON: I think the industry has evolved. It used to be there were specific characters for certain ethnicities. But now it’s all over the map. Anyone can be anything. And that’s where I think Hollywood has grown to. I wish the rest of the world would hurry the hell up and catch up. I think Hollywood’s much more diverse now than it has ever been. iF: Do you think television as a medium has changed? WILLIAMSON: I think because television is now cable, satellite, all these other in-between channels with digital television now, there are a lot more choices. It’s really hard to be bored right now when you’re channel-surfing, even though I have days where I can’t find anything that I want to watch, there’s always something on all the time that’s different from something on the previous channel. iF: Do you and the other actors who are all working on 24 for the first time this year feel kind of like the new kids on the block? WILLIAMSON: Absolutely. It’s exhilarating, exciting, but it’s also stressful. Because we are the new kids on the block, but we’re all fans of the show. We know exactly what Jack Bauer contributes to television, historically, what that character means, and you don’t want to screw it up by being the new guy. We call it the FNG – the freakin’ new guy. iF: And how is it working on a show where your executive producer and your leading actor are the same person, Kiefer Sutherland? WILLIAMSON: It’s comforting, because there’s no confusion. Because Kiefer and Howard [Gordon, executive producer/showrunner] know exactly what they want. If something’s not working for you, you know who to go to to get your answers, instead of, “Well, we have to check with the studio and we have to do this …” No, you just walk over to Kiefer’s chair and say, “My man, dude, look at this. What is this? What is that?” And you get your answers right on the spot. iF: Do you have any other upcming projects? WILLIAMSON: I have a project that I’m in with Adrien Brody that [played at] Sundance called HIGH SCHOOL and I’ve got a hot little DVD of a movie I was in called BLACK DYNAMITE, with Michael Jai White. 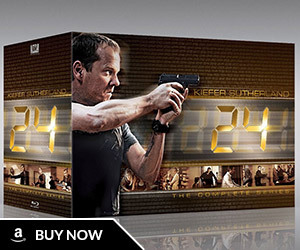 iF: Is there anything you’d like to say about working on 24? WILLIAMSON: I’ve gotten to do so many things that I did not expect. I’ve been happy going to work. It’s nice to work with Jack Bauer, it really is. 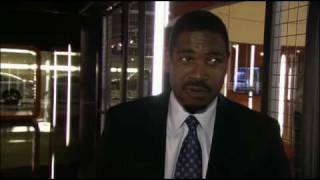 Mykelti Williamson talks about working with good friend Kiefer Sutherland in 24 Season 8. 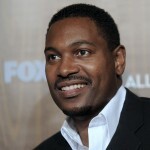 He also comments on Brian Hasting’s attitude towards Chloe.